Kitewheel, the journey orchestration leader and provider of the award-winning Customer Journey Hub, announced strong 2018 company, revenue and momentum results, further solidifying its position as the frontrunner in journey orchestration. Driving innovation in the cross-channel customer experience space for over six consecutive years, Kitewheel enjoyed a transformational 2018 in its brand direct business, driven by global market demand for in-house customer experience capabilities. 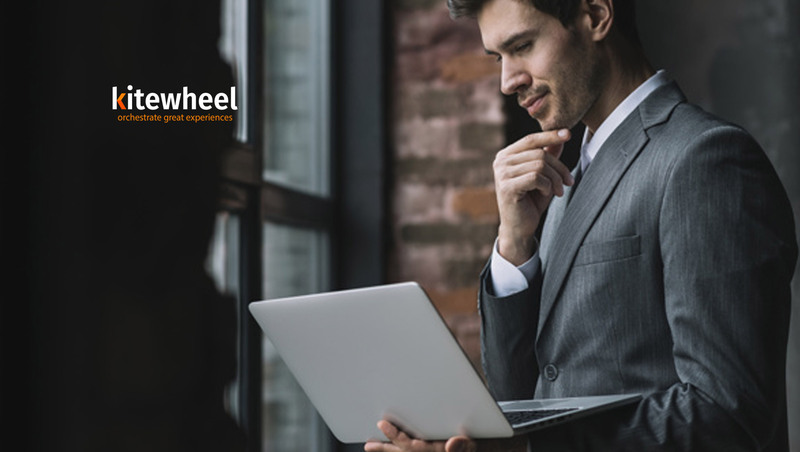 Kitewheel’s 2018 growth was driven by its direct client portfolio and now accounts for more than half of its business. User growth also increased more than three-fold, attributed to the continuous investment in the Kitewheel Customer Journey Hub, in particular new and expanded Journey Discovery capabilities. The company grew across key industry verticals including travel, retail, automotive and fintech, and enjoyed continued industry recognition. This sustained innovation across the journey marketing continuum has resulted in over 100% growth in total SaaS revenue year over year. To meet the growing demand for its solutions Kitewheel expanded its global team by 36 percent in 2018. The company recently added industry leader Jennifer Nelson as its new Vice President of Customer Strategy & Success, charged with supporting the company’s growing brand customer base, and Molly Williams who came to Kitewheel from Crimson Hexagon, a leading consumer insights company, to head Kitewheel’s marketing efforts.